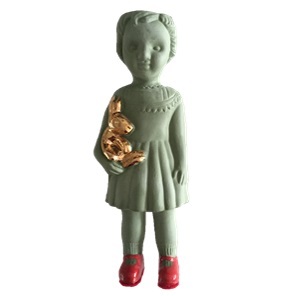 Green porcelain doll with rabbit. A doll with an open mind. 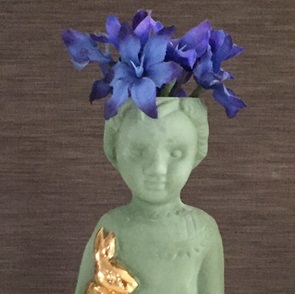 Beautiful as an art object in your interior but also beautiful as a vase for a single flower from the head! 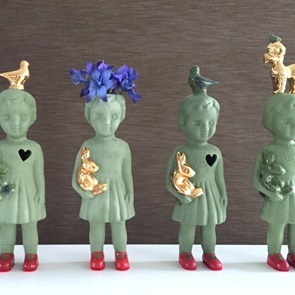 This way you can give the doll a new "hairstyle" every time with other flowers! 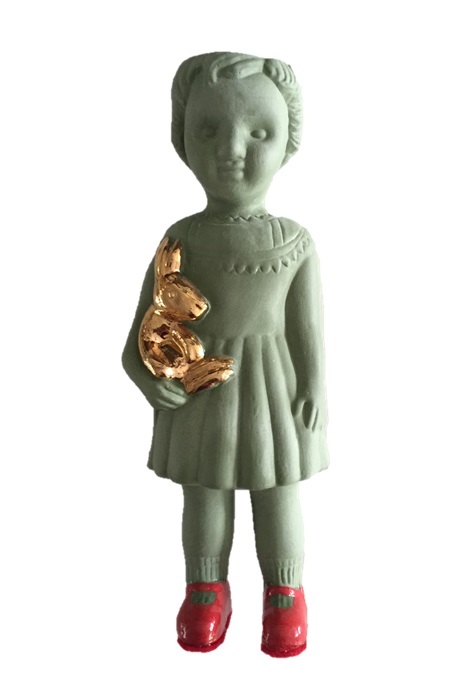 From green mat porcelain with a gold bunny in her arms, of gold luster glaze. 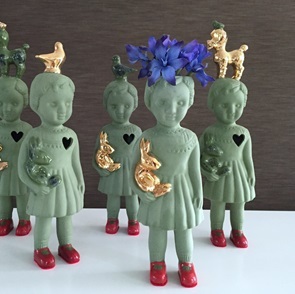 Completely handmade by the designers Lammers and Lammers. Nice solo but also beautiful with several dolls together. 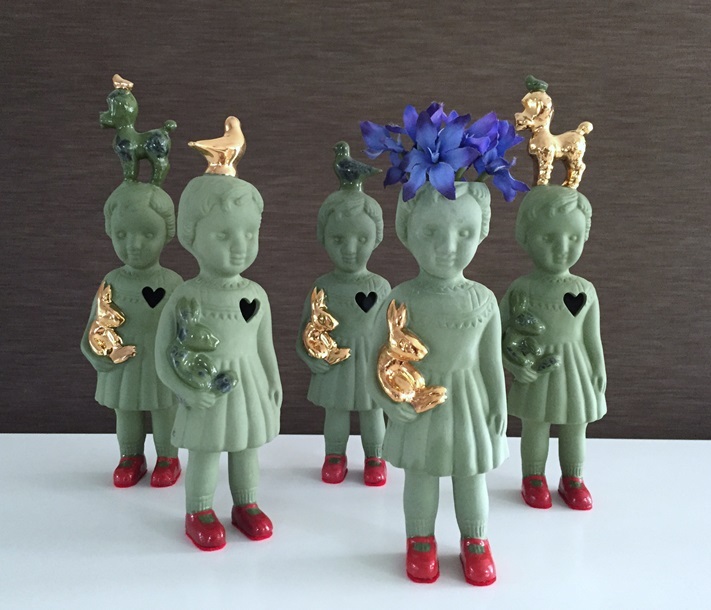 Very nice to give or t get as a present ;-) Handmade Dutchdesign! 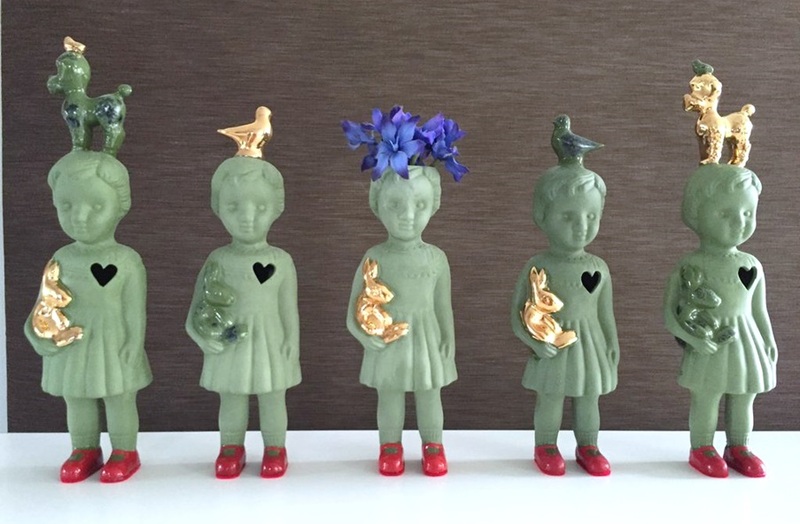 A piece of art in itself, each doll is always a little bit different. A special porcelain doll. Size; 20 cm hight and 7 cm. width. Delivery time: Ships in 1 to 3 business days.